I like to eat an apple every morning before I have anything else to eat. But, I am a very fussy apple eater. They have to be crunchy and the cannot be floury and soft. Granny Smith remain my all time favourite but I like to buy the sweet little red apples as they are usually the most crunchy. I recently bought a bag of the little red apples, and bit into one and to my dismay, it was floury. I hate waste more than I hate floury apples, and so I decided to use my juicer and make apple juice. I decided instead of drinking my fruit I would turn it into a sorbet, with an additional sour note of lime to make sure it puckered your mouth like a good sorbet should. This apple and lime sorbet was perfect for the hot summer weather we had earlier this year. which are your favourite apples? That is me with limes! 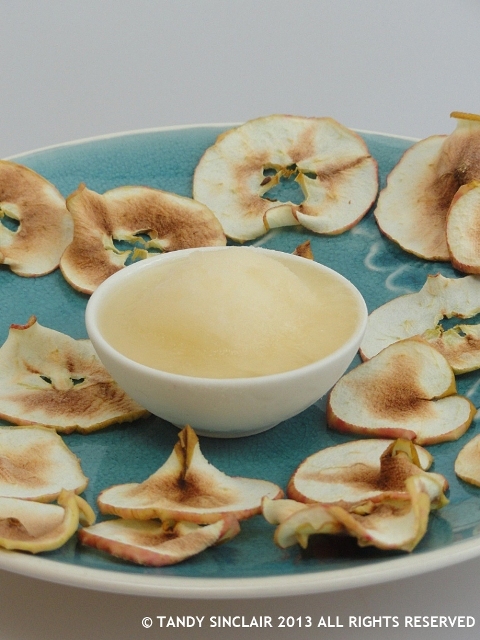 what a wonderful way to use up those floury apples! I like apples as well. Apparently it’s super healthy to eat one apple a day. It is very healthy indeed to eat an apple a day! I dislike floury apples too. Luckily we live in a part of France, well known for its apples and pears, that offer a great selection of crisp, juicy apples. Great for making tarts as well. I don’t like soft apples either. Apart from Granny Smith, there’s a famous local variety in Greece, known as “apples from Zagora” (the name of the village and wider area where they are cultivated). They are as red and crunchy as the apple given to Snow White!